In the halls of Queen Victoria's family home on the Isle of Wight hang portraits of Abdul Karim and Duleep Singh.The Queen never visited India, but she had close friendships with these two Indian men from very different backgrounds.Abdul Karim came from a humble Muslim family, and was gifted to the Queen as a servant by India as part of her Golden Jubilee celebrations.He ended up as her Urdu teacher and close companion. 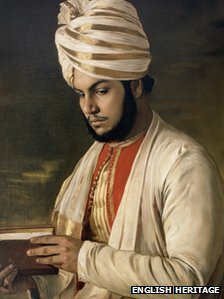 By contrast Duleep Singh came from a long line of Maharajahs, and was "adopted" by Queen Victoria as a teenager, growing up alongside her own children.He converted to Christianity and became a country squire, before rebelling against his adopted country and attempting to reclaim his Sikh kingdom. Now a researcher from Berkshire has opened an exhibition in Berkshire as part of a project to explore Queen Victoria's links to India. Neena Sohal hopes to inform the Indian community in Slough about their links to royalty. Duleep Singh was the last Maharajah of the Sikh empire. She said: "Duleep Singh is well-known in the Sikh community as the last Maharajah, and also because his family owned the Koh-i-Noor diamond, which he gifted to Queen Victoria. "Queen Victoria had a strong motherly relationship with him, and saw him as a fellow royal. "Even after he rebelled against the British Empire, she gave him a pardon." Ms Sohal said Queen Victoria "felt guilty" about stripping the young Maharajah of his empire. "In the end, his children had no children, so his family died out," she said. "It was a tragic end." Ms Sohal said the Queen's relationship with Mr Karim was not so well-known, due to its controversial nature. "He started off as a table servant, but she obviously look a liking to him. 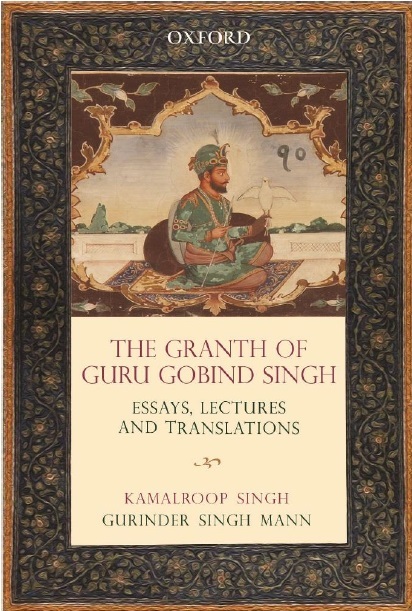 "He taught her Urdu, and she used it to entertain her various visitors from Indian royalty. "They used to keep an Urdu journal together." 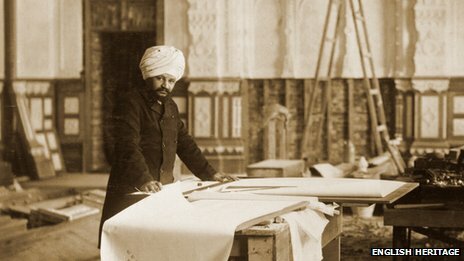 Punjabi architect Bhai Ram Singh created an Indian room in Osborne House. Such Was Victoria's fascination with India, she employed the Punjabi architect Bhai Ram Singh to create the Durbar Room at the Isle of Wight home, Osborne House, for state functions. Ms Sohal has organised a trip for Indian people living in Slough to the Isle of Wight to help them learn more about their country's influence on royal residences.In Osborne House, Mr Karim's portrait painted by the Queen's favourite artist, Winterhalter, is on display, as well as portraits Queen Victoria commissioned of her Indian servants. Ms Sohal said the Queen was surprisingly modern in her views on people from other cultures. "When people behaved in a racist way she would stand up to them," she said. "She would give out 30 page memos to her staff, telling people not to call Indian people "black" or be prejudiced against them because of the colour of their skin." However, following the Queen's death in 1901, Mr Karim also came to an unhappy end. "Following the Queen's death in 1901, he was unceremoniously sent back to India," said Ms Sohal. "His family were hounded and any evidence linking him to the Queen was destroyed."